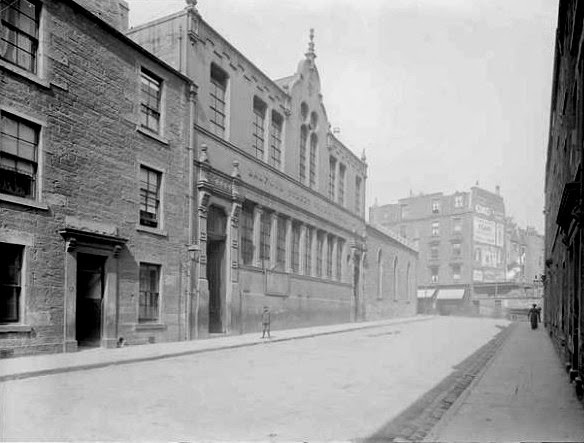 A School Board was set up in Dundee in 1873 and under its direction a number of new schools were set up, including the Balfour Street Public School – see below. In 1894, there were 23 schools under the School Board, with accommodation for 21,000 scholars. By 1913, the School Board was employing 585 teachers in Dundee. A School Board was set up in Dundee in 1873 and under its direction a number of new schools were set up, including the Balfour Street Public School. Students’ Union ATM – now in place! Further to my item yesterday about the need for a new RBS cash machine at the University of Dundee Students’ Union, the bank has moved fast to deliver its promise of a new machine – now in action – see below. Although I was very critical of the bank’s decision to close the student bank branch, I am nonetheless grateful that it has honoured its promise to keep a free cash facility for university students. 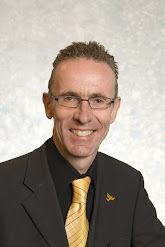 Residents will recall that I was in correspondence with the Royal Bank of Scotland earlier this year over their detrimental decision to close their student branch at the back of the Student Union on the University of Dundee campus (Balfour Street). 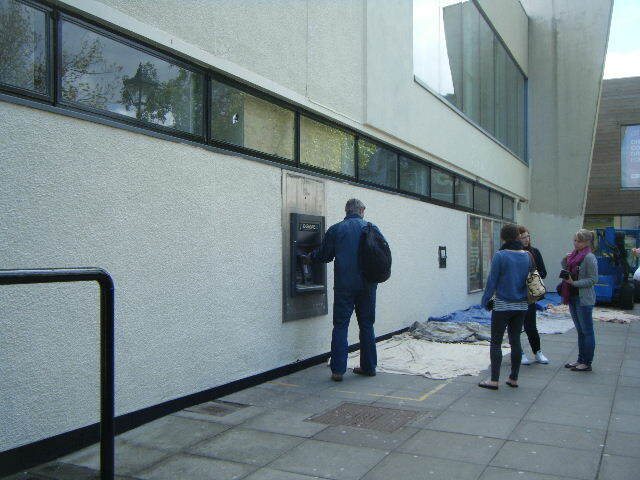 The RBS cash machine at the Dundee University Students’ Union is now well and truly a thing of the past – no longer working as the photo (right) shows – but the bank has not yet provided any alternative cash withdrawal facilities. This leaves just one free-to-use cash machine at the Students’ Union – the irony being that it is provided by one of the Royal Bank’s competitors – Clydesdale Bank. Having only one free-to-use cash machine in the large campus area with around 18 000 students is not sufficient and so I wrote to the Royal Bank asking it to honour its commitment to have a cash facility in the vicinity of the university campus. As reported in yesterday’s Courier I am very pleased to say that the bank has responded saying that it will indeed provide a new cash withdrawal service. It will be provided by a third party on behalf of the Royal Bank of Scotland but the good news is that it will be a free-to-use service and it will be in place very soon. Following my writing to Royal Bank of Scotland last month following concerns about possible closure of the student branch at Balfour Street, I’ve expressed disappointment at a response I have received from the bank to reject calls to think again over the proposed closure of its branch at the university’s student union. The response I have received from Jeffrey Hartley, RBoS’s Head of Group Customer Relations, confirms the branch is indeed earmarked for closure and it appears the Royal Bank is adamant that it will not reprieve the well-used branch. “I acknowledge that any news about a branch closure will be unwelcome, but I can assure you that this is not a decision which we take lightly. As we look to rebuild a sustainable bank, we must ensure that our branches are open where and when our customers want to use them. Regrettably, the Dundee University branch is not used to the same extent as the other branches in the area, and the branch has seen a substantial decline in usage over the last few years. RBS will maintain a presence in the local area, with our nearby branches on Dundee High Street and Perth Road continuing to offer a full banking service. Each of these branches if within one mile of the University. Additionally, customers can use our online, telephone and Smartphone banking services 24 hours a day. There’s a certain sense of irony in that response from the bank as they suggest using local Post Offices. The Nethergate Post Office, very close to the university campus, was closed by Post Office Limited in 2008. The decision to close the bank branch at the Student Union is really detrimental to the University of Dundee’s students and staff. Its been a hugely busy branch over the years and it comes on top of the decision to close the Ninewells Hospital branch and the Lochee branch last year. 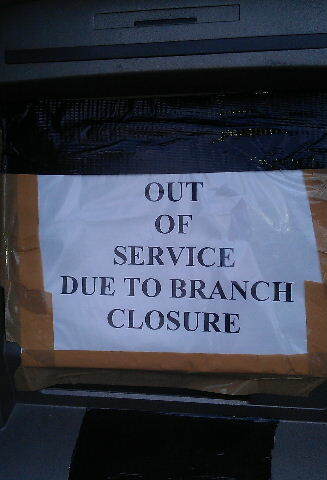 Despite being largely in public ownership, the bank doesn’t seem much bothered about the public, the customers who rely on local branches. Coming in the wake of the furore over bankers’ bonuses, I don’t half feel the Royal Bank of Scotland, despite being over 80% in public ownership, is totally out of touch with public opinion. I have written back to Royal Bank of Scotland criticising the decision and also seeking an assurance that the bank will at least keep the much-used RBoS ATM at the Student Union.